In South Africa, dramatic changes occurred in the independent school sector with the demise of apartheid and coming of democracy in 1994. Parental right of choice in education and the opening up of new opportunities for black South Africans has changed the entire face of independent schooling: whereas it once catered for a majority of white learners in high-fee traditional schools, now the majority of learners in the sector are black and its diversity and socio-economic spread has increased significantly. The number of registered independent schools in South Africa has grown steadily from 518 in 1994 to more than 2 500 today. There are currently about half a million pupils in the independent school sector, some 5.4 per cent of the total school-going population. 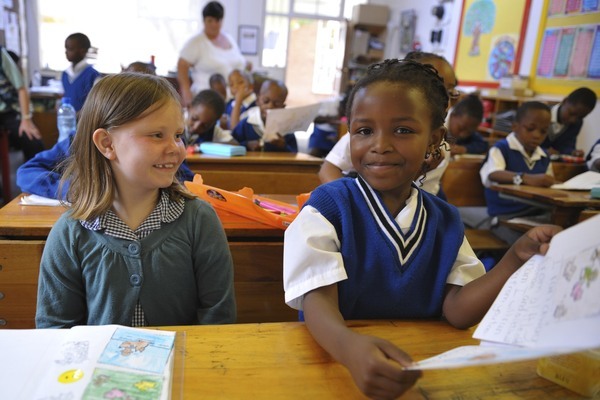 Independent schools in South Africa have the freedom to follow their own distinctive missions, such as a particular ethos, faith or philosophy, and to choose their curricula and examinations. They can determine how they will be governed, financed and staffed, decide their learner admission and promotion policies and manage their operations in ways that suit them best. Independent schools also have the scope to offer a different approaches to teaching and learning and set higher standards than public schools. While independent schools cherish their freedom, they also recognise the need to be accountable to their constituency and the wider society. They must act ethically and responsibly within the constitutional and legal frameworks of the country. They also believe in contributing to the public good through development programmes and partnerships with disadvantaged schools and communities. Why do many parents choose to send their children to independent schools? They do so because they want ‘more, better or different education’ – ‘more’ in terms of provision where there is none, or ‘better’ in terms of quality, or ‘different’ in terms of a particular mission, ethos, faith or philosophy. · Good leadership and management. · Strong values-base: Many parents choose independent schools because they have a strong values-base and pupils learn the importance of ethical behaviour, personal responsibility, a sound work ethic, teamwork and good citizenship. · Effective learning environments: good discipline, individualised attention, pastoral care and safety. · Well-qualified, professional, experienced and committed teachers who challenge and inspire pupils to fulfil their potential. · High academic standards. In general independent schools produce a higher percentage of senior certificate passes and university entrance passes than public schools. · Effective maths and science departments: Independent schools at the mid- and high-fee levels also produce a higher university entrance pass rate in Mathematics and Science than public schools. · A smooth transition to the next level of study. Pupils from good independent schools are typically well prepared for the demands of the next level of education and especially higher education. · Access to good learning resources and facilities. Many have computer, media, art, drama and music centres and sporting facilities. · Holistic balanced education comprising a wide range of cultural and sporting activities. However, not all independent schools are good: like public schools they can be excellent, average or poor. Parents need to make sure that they identify quality schools and then select the one that is best for a particular child: there is no such thing as the best school for all children. Schools that belong to the Independent Schools Association of Southern Africa (ISASA) are known for their high standards of educational and ethical practice. The ISASA Brand stands for “Quality, Values and Diversity”. Every ISASA school is quality assured before membership is granted, agrees to abide by a code of ethical practice and is re-evaluated every six years according to strict criteria. The ISASA membership certificate must be publicly displayed and includes a statement that the school is “committed to a democratic, non-discriminatory society and a school community that embraces diversity and fairness”.